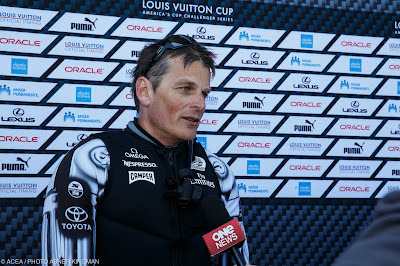 Emirates Team New Zealand's helmsman Dean Barker proved today why he is one of the world's best match racers with a flawless display in the pre-start against Luna Rossa Challenge. 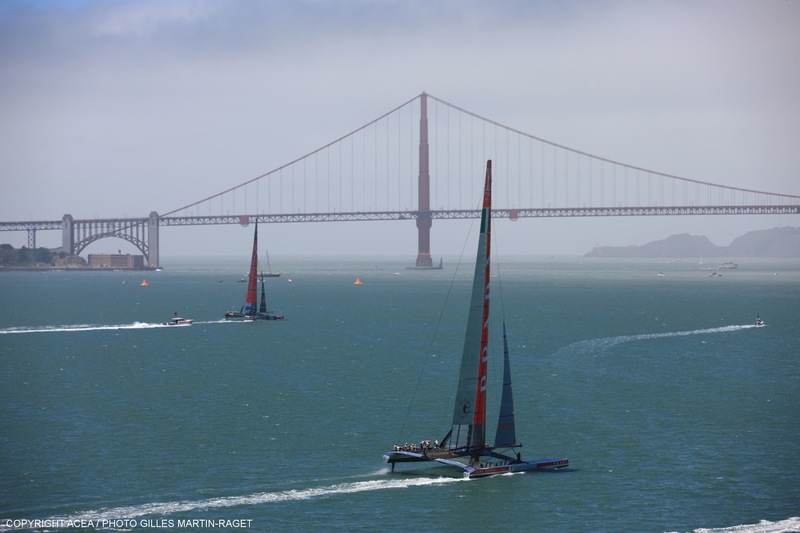 Barker took the leeward position and hit the line with over 30 knots of boat speed leaving the Italians for dust in the 17-19 knot south-westerly conditions on San Francisco Bay. At the first mark rounding ETNZ were ahead by five seconds, but steadily increased their lead to 256 metres and later to over 2000 meters that left the Italians no other choice than to play catch up. ETNZ's swift crew work and crafty tactics allowed them to finish the race with a delta of 5:23 minutes ahead of their rivals. Unfortunately the Italian team scored a DNF as the race rules state that the race terminates 5:00 minutes after the first yacht completes the 15.47 nautical mile course. The Kiwis completed the course in 43 minutes, 52 seconds. They recorded a top speed of 42.33 knots (48 mph), compared to Luna Rossa’s 39.95 knots (46 mph). 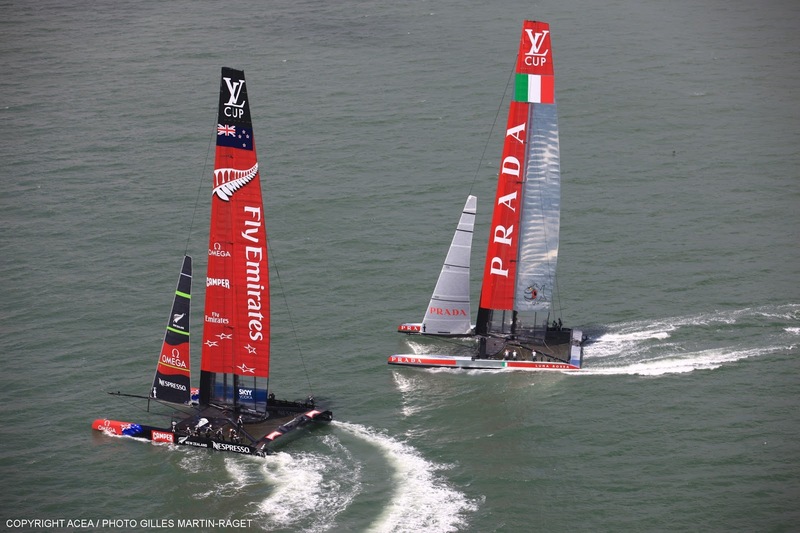 For the first match race in the Louis Vuitton Cup Round Robin Series that featured two boats the money was on the Kiwis. 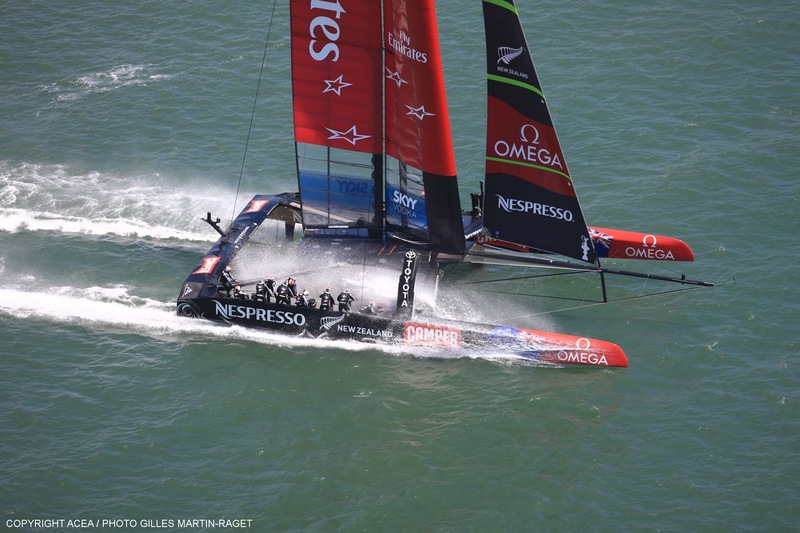 Once the racing got underway the enthusiastic crowd both on and off the water cheered the pair on having waited many years to see these two teams battle it out for the first time since the Louis Vuitton finals in Valencia in 2007. “There was a really nice public turnout today and it was good to have two boats out there on the racecourse. It can only make you better because you put yourself in different positions and you get to find out what’s going on around the start line and the first reach. 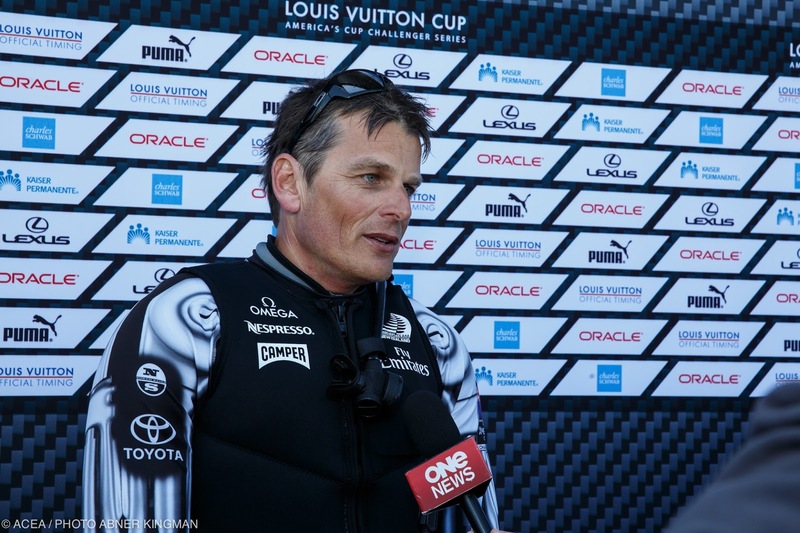 That’s all paramount to how the race plays out,” Dean Barker said. “It’s important to be in front at the bottom (leeward) mark so you have to be fast downwind to capitalise there. 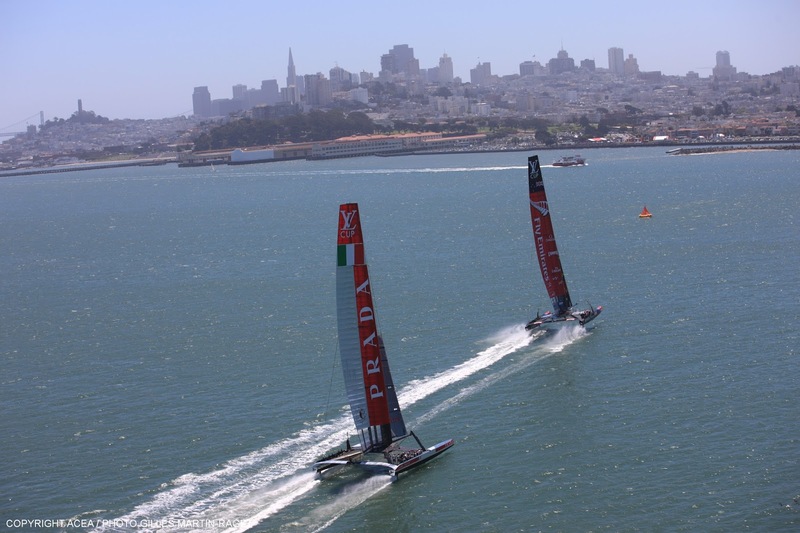 Luna Rossa has stepped it up on the downwind stuff. They probably have some work to do on the upwind stuff, but it’s early days for them and their new systems and setup. They’ll get better for sure,” he added. “We ended up almost where we thought we’d be, probably a little bit worse off. I think the majority of the losses were in boat handling and a little bit in upwind boatspeed. 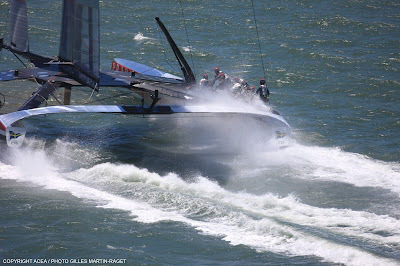 But it’s all fixable and we knew that was there, so no massive surprise,” said Luna Rossa helmsman Chris Draper of the final result.